At any age, awaiting surgery can be a traumatizing experience, but at just 12 years old, young Danny Cole - a veteran to hospital stays - is trying to cope with this latest procedure as best he can. In his innumerable stays within the medical halls, he's seen many roommates come and go - and these two boys will be no exception. But there's something special about young Martin (who Danny relishes frightening with the anxieties of what is to come) that will allow Danny to confront the quiet truth about his condition and find the strength and courage to face whatever life delivers. 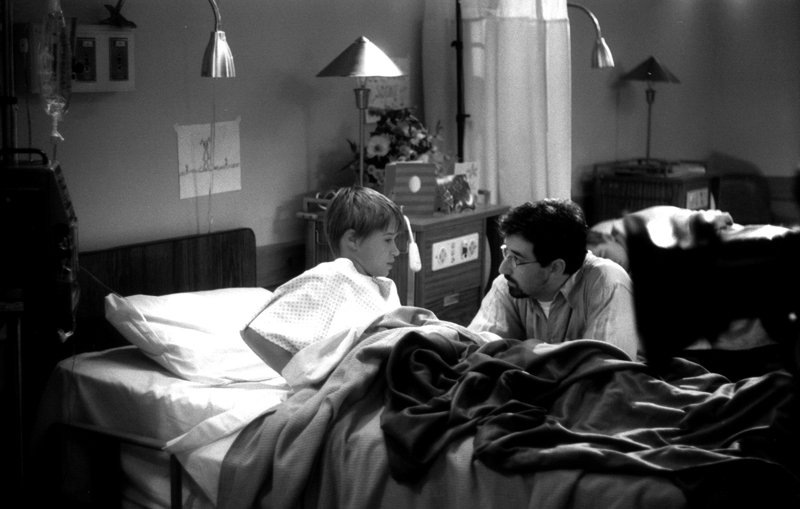 Based on an autobiographical short story by writer James Cole, The Night Before is a realistic and touching look at young boys in the hospital. Shot in four days on location in Camarillo, California at the site of "Hotel California", a former state mental hospital that became a California State University Camus, the Night before was directed by Jay Holben, whose previous short film was the acclaimed adaptation of Stephen King's poem Paranoid: A Chant. Holben and Cole set a mandate to be as authentic as possible to the realistic experiences of children in hospital settings - especially trying to bring to life to Cole's actual experiences. Although the story takes place in the early 1980s, economic concerns did not allow the filmmakers to be absolutely faithful to the time period - although as many details as possible were incorporated to evoke that time period. The Night Before which features a breakout performance by Lucas Riney as Danny Cole in addition to superb performances by Kevin Patrick as young Martin and Michael Benson as Mike. Set photography by James Cole.